Colorado web designer Madwire Media, the fastest growing web design firm in Colorado, brought in six million dollars to the Northern Colorado economy in 2010 and forecasts an additional fifteen million in 2011. Madwire Media is outperforming in the current market, helping to stimulate the economy by bringing in new money nationally and locally. With the unemployment rate still high and an economy still shaky, businesses left and right have to close their doors or lay people off to stay afloat. CNN Money Magazine reported that unemployment has remained above 9% for 21 straight months, and economists and policymakers, including Fed Chairman Ben Bernanke, have repeatedly said it's likely to remain high through the next several years. Even amid this broken economy, Colorado’s largest web design firm with local, national and global clients, Madwire Media, grew from five to over forty employees in 2010 and plans to add 35 more to the staff by the end of 2011. With this growth, Madwire Media impacted the Northern Colorado economy by six million dollars last year. The reason for such growth is because they put great focus on phenomenal customer service, modern design, efficient development, and marketing that drives results at incredibly low rates. At this rate, it is forecasted that Colorado web design firm Madwire Media will add an additional fifteen million dollars to the local economy in 2011. This brings a positive light to a not-so-positive economy. Madwire Media is obviously doing it right, and their integrative and non-traditional approach to business probably has a lot to do with it. Madwire Media is not your unfortunately typical poor service, email only, slow turnaround time, under-delivering web design and internet marketing company. In fact, they pride themselves in being the complete opposite of that. They eat, sleep and drink great service, design, marketing, and affordability. They never leave their clients hanging out to dry, under-serviced, and unsatisfied. Madwire Media is outperforming in the current market, helping to stimulate the economy by bringing in new money nationally and locally. Madwire Media does everything in their power to help their clients reach their goals, within their budget, and build their business. When it comes to internet marketing and design, they do it all. Their approach to business is refreshing and encouraging in today’s economy and Madwire Media is sure to create a lot of buzz in the market this year. With innovative website design, inbound targeted SEO marketing, brand identity, and social media, they seem do it all, and do it well. 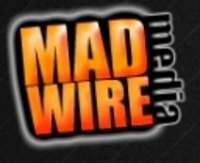 http://www.madwirewebdesign.comMadwire Media impacts the local economy by 6 million dollars.